Will there even be a market for performance GTs in 30 years from now? Using car designs of the past to imagine what a performance Grand Tourer might look like in 30 years from now, rendering artists Francesco Gastaldi has created the Maserati Hommage. 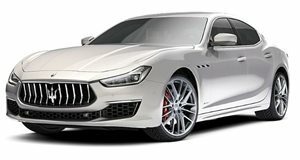 The avant-garde concept is his vision of what Maserati could be building in the year 2049, where the straight lines and aggressive sharp creases of modern-day sports cars have been replaced by shapely body panels with a single sheet of glass used for the windscreen, roof and rear window. There doesn’t appear to be much of a connection between the Maserari Hommage concept and current offerings from the Italian marque, albeit they are both elegantly proportioned and easy on the eye. With the era of autonomous cars soon upon us, we hope that cars continue to be designed with exterior aesthetics as a top priority. Our kids might never have to learn how to drive cars, but that doesn’t mean they shouldn’t look good while transporting them safely on traffic-less streets. A car should make you feel good. And the Ghibli is an expert at doing just that. But is it enough in a highly competitive segment?